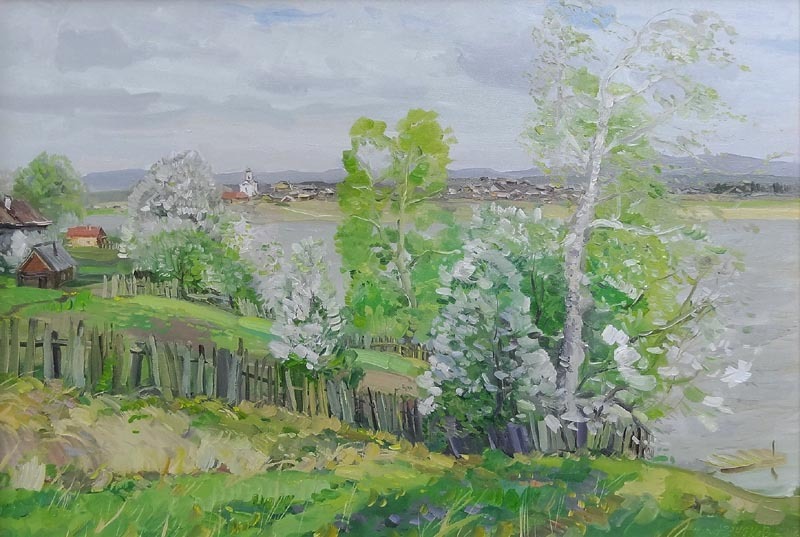 Bird cherry tree artist - Nikolai Korznyakov. 2012, oil painting: oil on canvas, 70x50 cm (27 1/2"x19 3/4"). Unfortunately the resolution of images does not fully show the detailes of the landscape (signature and other small fragments). In the case if you are interesting to buy this landscape we can send you high-resolution photos of this painting and photos of its fragments.